Steve Widdicombe leads the Marine Ecology and Biodiversity group at the Plymouth Marine Laboratory. 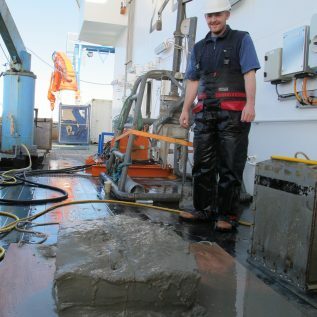 Steve has been exploring aspects of marine ecology for over 25 years and has a particular expertise in studying the biodiversity of seabed sediments. His work has largely focused on understanding how disturbance affects the structure, diversity and function of marine communities. These disturbances include natural phenomena such as bioturbation, storms and large plankton blooms and manmade impacts such as trawling, pollution and, more recently, climate change including ocean warming and acidification. Steve’s interest in arctic ecosystems started in 1997 when he first visited Svalbard as part of a UK/Polish team exploring the impact of glaciers on seabed communities in polar fjords. In 2009 Steve was back in Svalbard, in the research village of Ny Alesund, where he was leading an international team exploring the impacts of ocean acidification on marine organisms. Within the ChAOS project, Steve will be exploring how changes in the supply of organic matter due to the retreating ice edge is leading to changes in the communities of organisms living on and in the seafloor.